Hi Julie. Thank you for making me look great on my wedding day including our female entourage. Your team are so easy to work with, it actually feels like we have known each other for a very long time. Despite the super early call time, your team still had the energy for fun chit-chats while waving your brushes on us. You also amazed me at how you easily and voluntarily helped me fix my gown while I'm doing my photoshoot, you indeed exceeded our expectations. Bravo to you and your team. Definitely will refer to you to other soon to be brides. Julie is a very talented make up artist. She had done magic for my wedding. 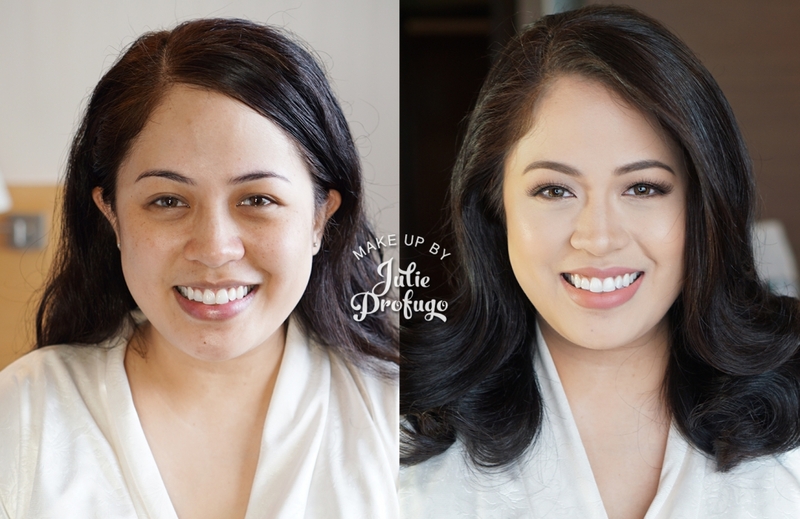 🙂 I am very happy with the results of my HMU using airbrush.Prior the wedding, Julie is very responsive to my querries. In addition, she is also punctual and is already at the location where we did our wedding preparations before 3am in the morning!She also achieved an extra mile by reminding me how to make sure my make up will last even during the night! Patrick even shared with us how to fix my hair during reception so that I can have a 3rd look. After the HMU, Julie even helped me wear my wedding gown.What is amazing with Julie and her team is their synchronized way of working together. They know exactly what to do and when to do it. They are very professional! Hands down to Ms Julie and the whole team!! She will definitely make you look good, feel good and she will take good care of you. From prenup hanggang sa wedding namin sobrang laki ng naitulong niya sa amin. A great makeup artist!! Alam nya kung paano ka papagandahin ng sobra. Thank you very very much Ms Julie!! Good luck to you and sa baby mo.. God Bless! Julie was my high school batchmate. Most of our common friends highly recommended her. So, when my boyfriend proposed, the first supplier that I contacted was her — bec back of mind, I always know that she’s one of the best and really do her job majestically! And as Julie being too kind, she blocked the date of our wedding right away! Being a hands-on bride, I was not able to sleep the night before our wedding day. But Julie and Pat (The Hair Goddess) was able to make me look naturally pretty and fresh on our most romantic day, through their delicate hands and over the top paraphernalias! They exceeded my very high expectations and these guys are heaven-sent to every brides. I hope that you‘ll continue to be a blessing to many other up coming brides out there. Thank you so much Julie and Pat! You guys are the BEST! Very professional and straightforward. She knows exactly how to enhance your face and make you feel confident throughout the event. Highly recommended! Julie is my fairy god mother. Like what I always tell my friends and family, "hinabol ko talaga yung bridal fair nya! ", and from there I knew it was her last fair due to her busy schedule and I'm her last client that day. I really don't have any idea on who to choose to do my make up, it was really a big decision for me because I need to feel that I'm the prettiest on my big day. It's just that while checking some artists, binabalik balikan ko talaga tong page nya, there was this feeling in me na, "I think SHE's the One". And yes booking Julie and her team was one of the best decisions I made for my wedding day. 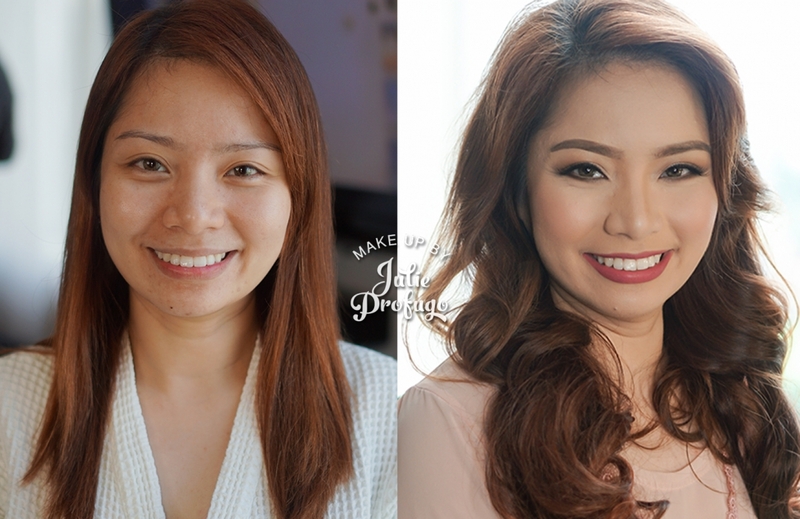 She also did my hair and make up on my PreNup and from there I heard nothing but amazing feedbacks already. Julie is very nice, she did not just do my make up, but she took good care of me as well. She made me a beautiful bride that day, despite my allergies. She always tell me that I am beautiful and that made me more at ease, I felt confident and relaxed. Everybody around me was so beautiful as well, I can't stop looking at my mom and my bridesmaids because they were all so pretty, I can't stop smiling. From the bottom of my heart, I really want to thank you Julie, Patrick and the rest of your team for taking good care of all of us, you really do have magical hands.May God continue to bless you, you are very talented and I love you so dearly Julie, alam mo yan.With much love, Emkaye Obien and my #teambride#EMbracePAO #PAOnallyfoundEMFebruary 1, 2018/Tagaytay Citybtw, my groom is so gwapo too, thank you napilit mo kahit konti, haha! ONE OF THE BEST TEAM I HAD DURING MY WEDDING! SUPER THANKFUL AKO TO JULIE AND HER TEAM SPECIALLY BARBIE. 🙂 MADAMING NAKA APPRECIATE NG MAKE UP KO, AND WALANG HULAS! ON TIME SILA, PAG SINABING 3AM, 3AM. MAGAAN ANG KAMAY AT HINDI MINAMADALI KATULAD NG IBANG MUA. PATIENT SIYA KASI NAKAKATULOG AKO HABANG MINE MAKE UPAN NIYA AKO. SHE IS HONEST AND MAYBE SOMETIMES NAMIMIS UNDERSTOOD NA RUDE SIYA PERO YUNG SINASABI NYA IS IKABUBUTI MO AND NG WEDDING MO. YOU CAN FEEL NA AYAW NIYA LANG MA STRESS ANG BRIDE. SKILLS WISE, SOBRANG GUSTO KO KASI WHAT SHE DO IS SHE ONLY ENHANCES YUNG BEAUTY HINDI NAGIIBA YUNG MUKHA. TO BARBIE KAHIT NA KABOG NIYA KAMING LAHAT SA BEAUTY NIYA, SHE MADE ME FEEL NA AKO PINAKAMAGANDA NUNG ARAW NA YUN. NOT LIKE MY BM'S HAIR (OTHER HAIRSTYLIST-NOT THEIR TEAM) HINDI PA NAGUUMPISA YUNG CEREMONY BAGSAK NA BUHOK NILA. 🙁 BUT WITH BARBIE, PERFECT YUNG HAIR KO, BOTH MOMS KO AND MY MOH'S 🙂 I REALLY LOVE YOU GUYS, YOU DESERVE AN EXCELLENT REVIEW!KUNG UULITIN KO ULIT YUNG KASAL KO, SIYA PARIN KUKUNIN KO. SEE YOU SA 25TH WEDDING ANNIV NAMIN. 🙂 GODBLESS SAINYO!!! Thank you Ms Julie, Sir Patrick and company! Thank you at energetic pa din kayo kahit second wedding na nyo to within 24 hour period and the call time is so early. Thank you for accommodating additional people. A lot of people gave a lot of compliments for my hair and make up. Thank you also for honoring my requests. Will definitely recommend your team to everyone i know! Ms Julie gave life to my chinky eyes both during our prenup and wedding. Patrick gave life to my dull hair. I loved every look…and felt like a celebrity (hehe). They also made my family feel comfortable (despite the preparation frenzy), through their friendly chats and jokes. Thank you Ms Julie and Patrick! From Ria and Garret. 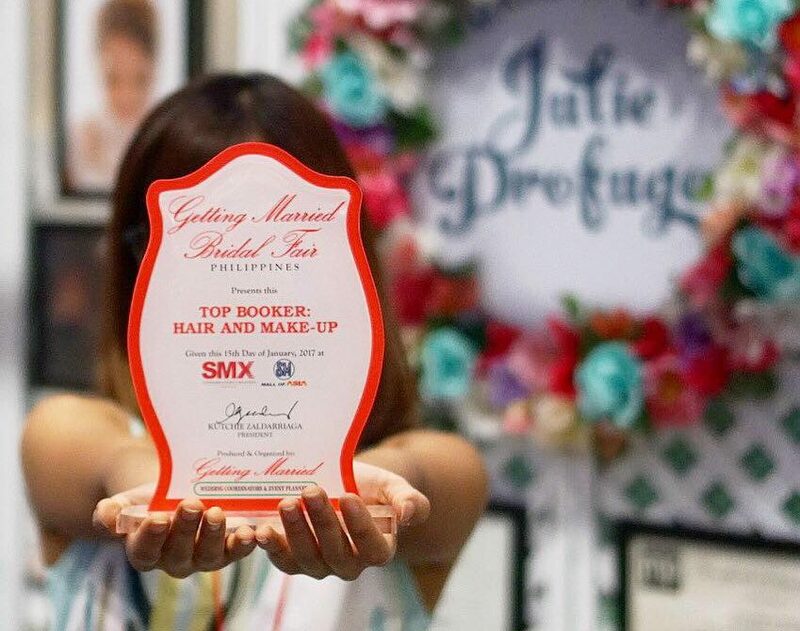 Definitely, Julie and her team is one of our favorite wedding suppliers we've got for our Big Day. They are very professional, accommodating and fun, and I love the vibe they have when I visited their booth during the bridal fair. I really love how Julie and Patrick did a great job in making me look gorgeous and stunning during my prenuptial shoots and on the wedding day itself. Even my husband kept telling me how beautiful I was that day. My bridesmaids, as well as my mother-in-law, loved their hair and makeup. I will definitely recommend her to my soon-to-be bride friends. I've always wanted Julie to be my make up artist for my wedding day. So once hubby and I decided to get married, I booked her right away. I didn't have a make up trial with her anymore because I fully trusted her passion for bridal make up. So my wedding day came, and Julie made me look and feel the prettiest that day. I truly felt like a doll and everyone else complimented how beautiful my make up was. Patrick also finished my bridal look by doing my hair. It was simple yet very pretty as well. Bella and Dom also did a great job with my mom and my bridal entourage. Everyone looked their best that day, and I absolutely looked and felt like a princess. I am so happy! Thank you very much Julie, Patrick, Bella and Dom for all being excellent in your craft. I will never regret that I booked your team and I will absolutely recommend every bride I know to book your team. Thank you for treating everyone like a friend and for the goodvibes that you all bring. Thank you Julie! Great job! Keep it up! Thank you Julie and to your team for doing a Good job on our wedding day. Our ladies expressed their happiness and satisfaction for their wonderful look. Marami kameng nakahanay sayo. Keep up the good work but take it easy. God bless. We booked Julie in a bridal fair after my make-up trial. What I like about them is the vibe of her team. The ambiance of her team is very light, happy and comfortable. We did our engagement shoot last Friday (Feb. 3). Julie made me feel very comfortable and she really did an amazing job. I like all my looks from the first up to the last. Not only that, she checked my hair and make-up all throughout the day. She also assisted me on my clothes and taking the behind-the-scenes photo and video. I loved it! I felt the genuine concern with her. She even assisted our photographer with the ideas of posing. Thank you Julie for your hard work. God bless! Hi Ms. Julie, san na ang mga beautiful shots mo sa akin nung wedding day? Dami na nagccomment about sa makeup ko masyado mo kasi ata akong pinaganda eh. Halos lahat that day sobrang nagandahan sa akin eh. 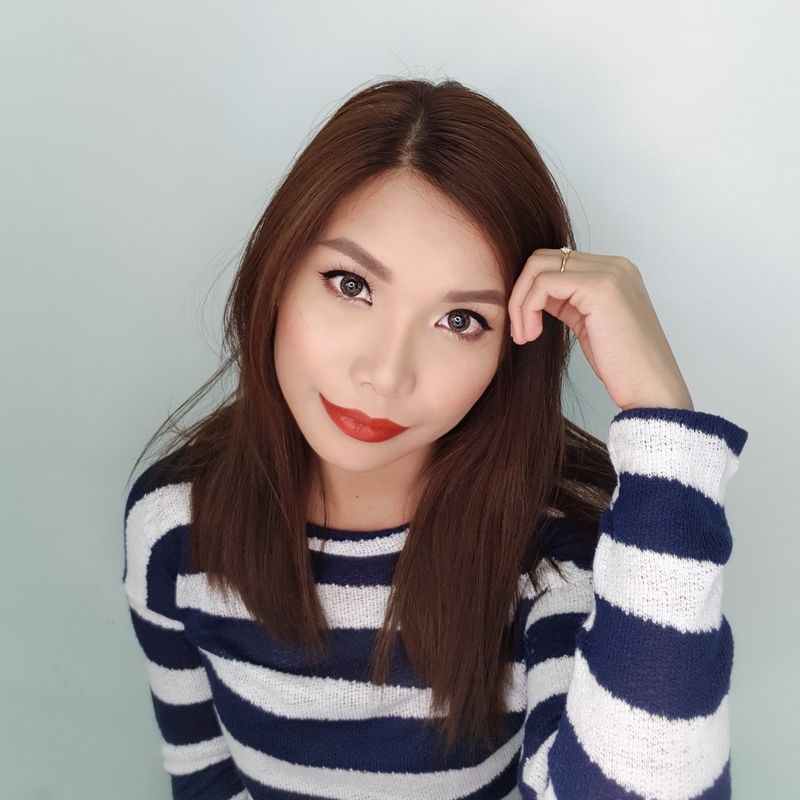 Marami nagsasabi ang ganda ganda ko nga daw at may nagsabi pa nga na pwede ba magcomment masyado daw makapal ang makeup sa akin un ang akala nila kasi daw nagiba nga ang itsura ko hehehe. 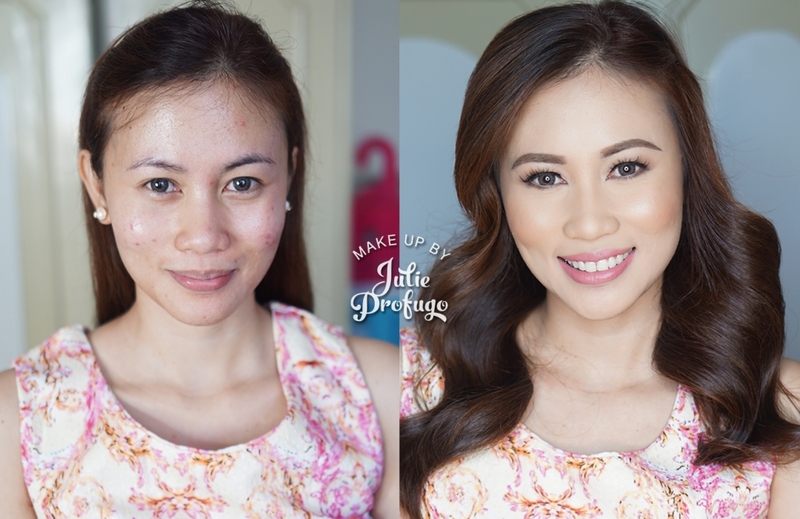 Ang sagot ko nlng eh, di sya makapal actually 1 layer nga lng ng Airbrush ang inapply nya sa akin eh and to be honest ang bilis nya nga lang din ako minakeupan that day ng wedding eh siguro she just enhances yung beauty ko that day lalo na at ako ang Bride mas lumabas ang real beauty ng Bride dahil si Ms. Julie Profugo ang Make-Up Artist ko at si Patrick ang Hairstylist. Hands up talaga ako sayo sis and syempre kay Patrick. Thank you so much guys for making me the most beautiful bride i love it. Keep it up guys. Godbless you both more! So glad to came across Julie's page and be wowed by her portfolio. I myself is a makeup geek that's why I get so picky choosing my own hmua for my wedding. Julie was so hands-on during my engagement shoot. She has been my hmua, stylist and a new found kikay friend all rolled into one. I so admire her makeup artistry skills! And teaming up with equally talented hairstylist like Patrick, is undeniably a power duo! Pat could turned you to an 'it-girl' celebrity! These two made me so fab and beautiful on my wedding day. Thank you so much sissies! God bless and more power! Love u both! To make sure that I would have a gorgeous, stunning and head turnng arrive in our big event which is 25th Corporate anniversary I want to have a professional make up artist and good thing one of my officemate was her client.I asked her who was your wedding make up artist? I saw her she was so beautiful and look natural during her wedding. No second thought after she gave the contact number of Julie I made an appointment.So this is the output of her creation I achived what I want.. Pak na Pak ganeern.. I am so impressed with the service I received from Ms. Julie Profugo and her team. It exceeded our expectations and went beyond imaginable! Ms. Julie took a huge part in creating my dream day, absolutely amazing -- very professional and demostrated excellent expertise in HMU! 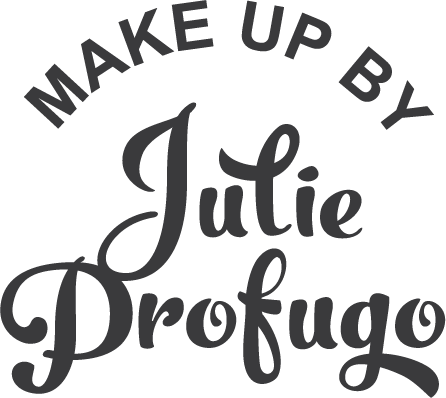 I would highly recommend Make Up by Julie Profugo to our relatives and friends. Thank you also to Bela and RC for a stunning job! More power! God bless. Thank you so much Julie for making my wedding day really beautiful! You really are the best. I will surely recommend you to my friends who are also getting married. God bless you with more clients! 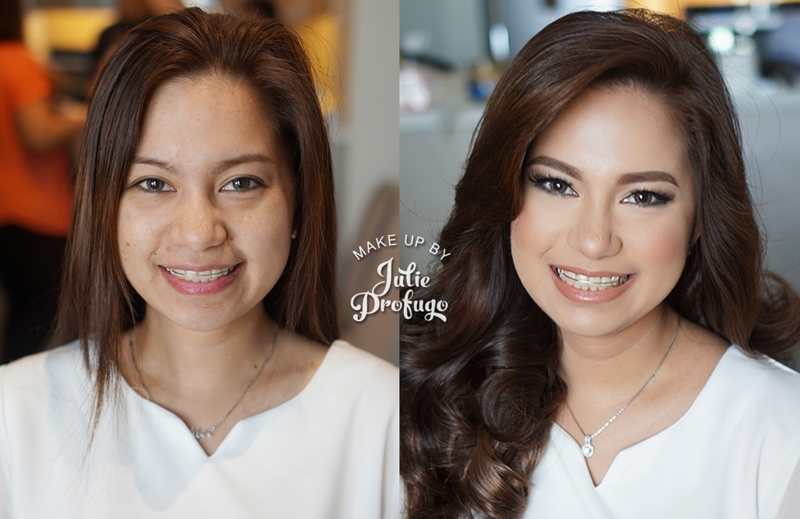 Make Up by Ms. @[1438268737:Julie Anne Profugo] , Phenomenal job they did on our PreNup and way way IMPRESSIVE work they did on our wedding day. The whole team is super friendly and THEY WON'T LET YOU DOWN. They care so much on their clients and will give you all the help you will need. They are like friends.Choose them and you won't regret. Moreover, they WILL EXCEED YOUR EXPECTATIONS. Thank you Make up by Julie. Highly recommended. 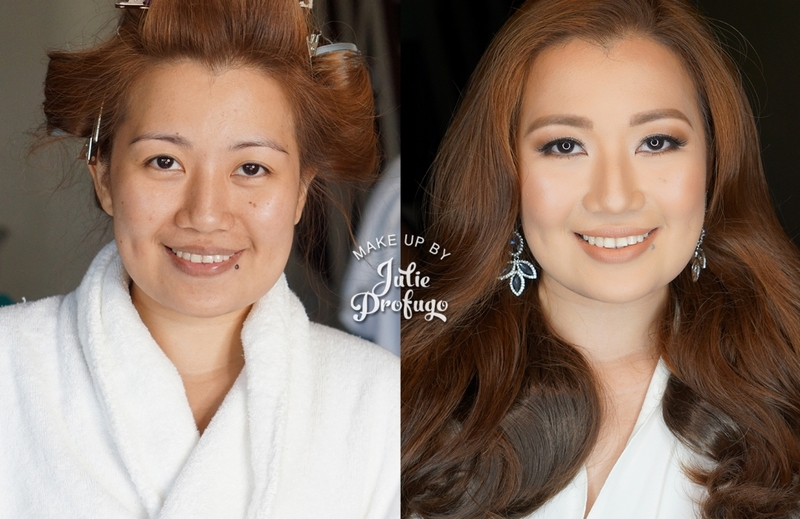 I wanted to say thank you julie for a superb work you have done.. napakagaan magtrabaho.. Its an honor for me as a bride to become one of your client to do my make up on my wedding day.. You were referred by Rouchelle who is also a fantastic make up artist and also became close to my heart. It was my first time na si Ate Julie nag make up sakin for my debut. 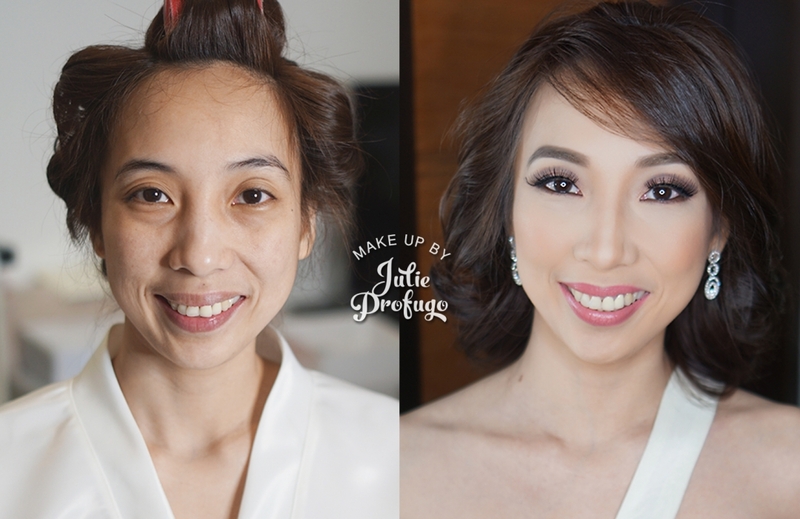 Di ko pa nga alam na siya pala mag make up sakin. Kasi ang akala ko yung kakilala namin. But It was perfect! ✨ Thank you! A very very talented make up artist, actually natutuwa kami kay julie di lang sa magaling sya mag make up, inaalis nila kaba namin and naboboost nila ang confidence namin. Thank you Julie and to your team for making our wedding day excellent.. Preparing for my wedding includes a LOT of decision making. Getting Julie to be my HMUA was not just one of the best, but one of the wisest decisions I've made. What you see in her portfolio is just half the deal. The other half is her love for what she does, which made her enthusiastic from prenup to the wedding itself. She even worked beyond what you paid her. She has high regards with her clients and I like her work ethics. I looked exactly how I wanted to look on the day of my wedding and what I liked the most was that I still looked "me" with her makeup. I felt more beautiful. From what I experienced, Julie made sure that I will walk the aisle, project at the camera, and face my guests with smile and confidence! I believe every bride needs Julie! Gratefuness is an understatement! But yeah, THANK YOU! The best make up artist ever! All credits and praises are to you my dear. 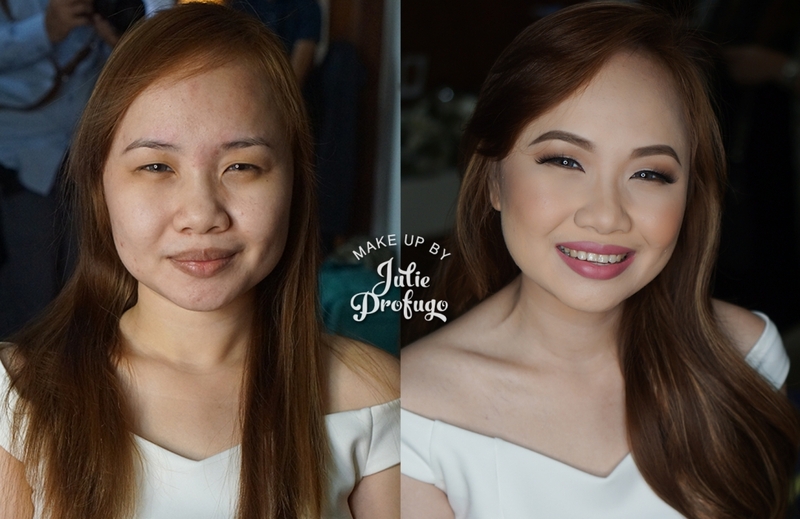 From prenup to our big day, Julie's team did a great job. 3 looks in a day? Woah! No biggie,for this girl really got a talent in transforming us girls into the most astonishing bride ever. Not to mention her dedication and professionalism at work. 'Sabi ko pa sakanya nung Una, girl ikaw na bahala saken',because I really have no idea in makeups and all that. And guess what? She did the bestest she could and turned me into the most beautiful bride that day. Even my groom couldn't resist looking at me. I am so happy and proud to have met this wonderful gal,I know you'll have a long way to go. Cheers! I've accompanied her in a few make-up gigs. I also spend a lot of time with her – natuto na ko tumigin if a make-up is good or bad. I can say na hands-down her work is the best. 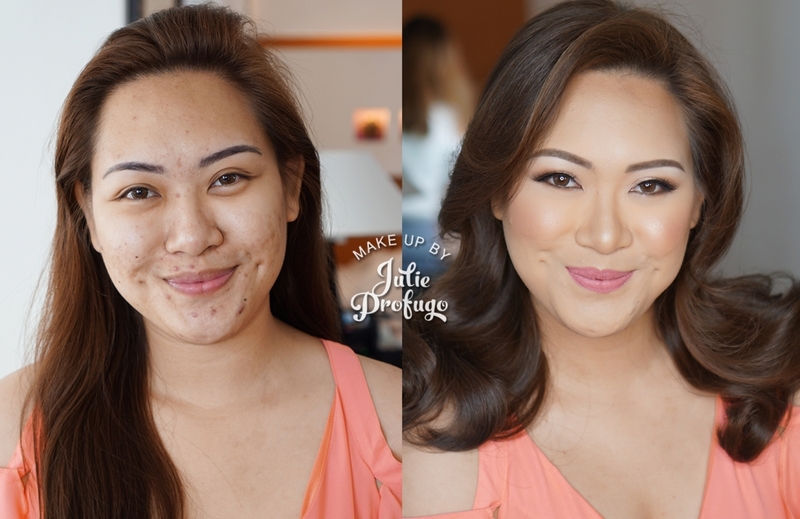 May mga naging client siya na don't wear make-up, but once they saw her work they start wearing one. On top of that, Julie is more than excited to tell you which product she used and even give you instructions how to use it. 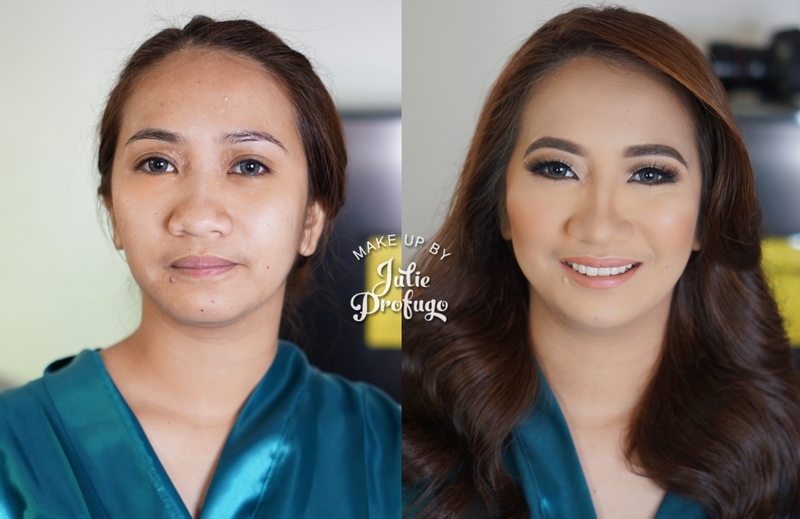 She just knows what's best for the client.If I were to hire a make-up artist, I'd choose her not just because of her exceptional skill but also the way she make clients feel better about themselves. And I think it's the core reason why people hire make-up artists after all. Her hands are magical and exceptional..Being one of her OBRAS made me feel so lucky.^_^Not just a professional MUA but a great preson inside and out..and pretty ofcourse..^_^God bless and more power Ate Julie!! Julie is a true professional when it comes to her craft. She did a marvelous job in making my bride Jessica as lovely as ever on our wedding day. Kudos to you, Julie! Lights and Shadows and Event's Insights' Trusted Hair & Make Up Artist.. Quality and Affordable.. Very hands on and committed to render service with excellence. Thank you so much, Julie! 🙂 pahinga pag may time! Haha! They say that having a make-up artist as your sister has a lot of perks. Sure it is! From dates, to wedding or whatever occasion I’ll go to, I just need to go to her studio and let her do the job. I don’t need to think what make up or hairstyle that suits me because she knows me well. 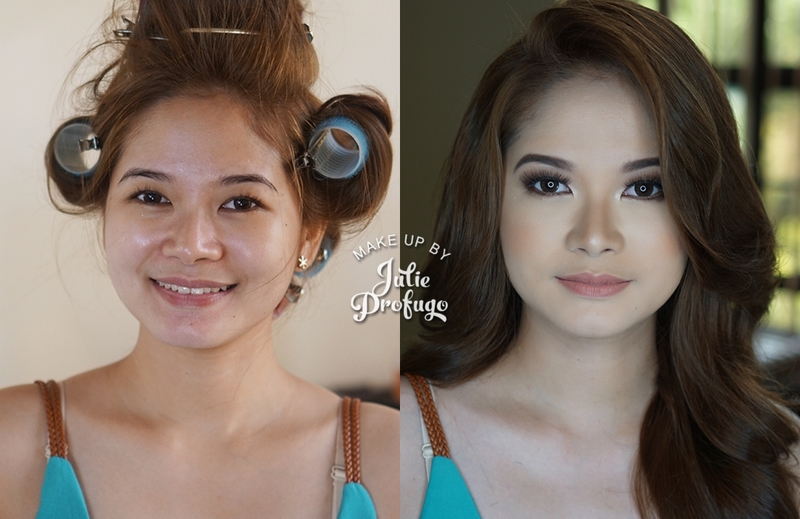 I guess having her as my make-up artist on my wedding day is a big challenge for her but she pulled it off. I was sick and without sleep for three days before my wedding day but there’s not even a hint in my face about the stressful week we’ve gone through. She always made me feel beautiful not just by putting a great make up but by boosting my confidence as well. Ever since she entered into this industry, I always believe that she will be successful because she is passionate in everything she do and this is her dream. She is my favorite make up artist, not because she's my sister but because She's simply the Best! Julie Profugo is an artist by birth. She learned to draw at an age of four and her childhood interest in art continues until she grew up. In 2012, She graduated from Mapua Institute of Technology with a degree of BS Industrial Design. Before she became a full time make up artist, she works as a designer at one of the biggest retail company in the country. Julie started as a self taught make up artist and has been freelancing as a make up artist since 2011. Julie has a passion and joy for discovering new techniques and expanding her skills. She continues to strive and decided to took up formal lessons in bridal make up at Maquillage Professional School of Make up Artistry and trained to be a ceritfied airbush make up artist at Make up Designory. Julie is an artist with a deep and passionate appreciation for make up and beauty and this enthusiasm is reflected strongly in her work. She is known for her good attention to details and her client’s amazing “before and after” transformation. She aims that her clients look beautiful in every photos and in the naked eye. Julie and her team of young and talented individuals earned very positive feedbacks and praise for being hardworking, friendly, caring and most of all professional from their past clients. 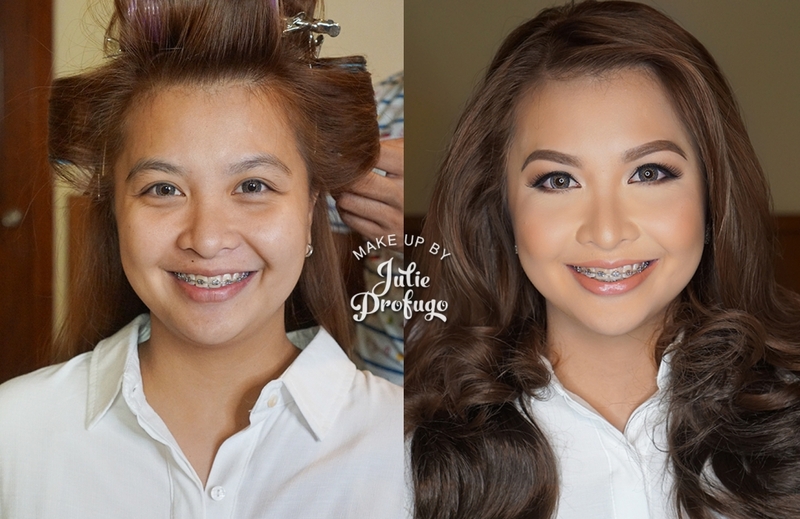 Make up by Julie Profugo earned the TOP BOOKER spot at the 17th Debut and Bridal Fair last Jan 2016. Top 2 for the Bridal Make up category at the Before I do bridal fair.